Leave a Comment on Now What? Happy Monday, folks! For some of us who are lucky enough to find the key to closure, we may have that peaceful day that we’ve been longing for. 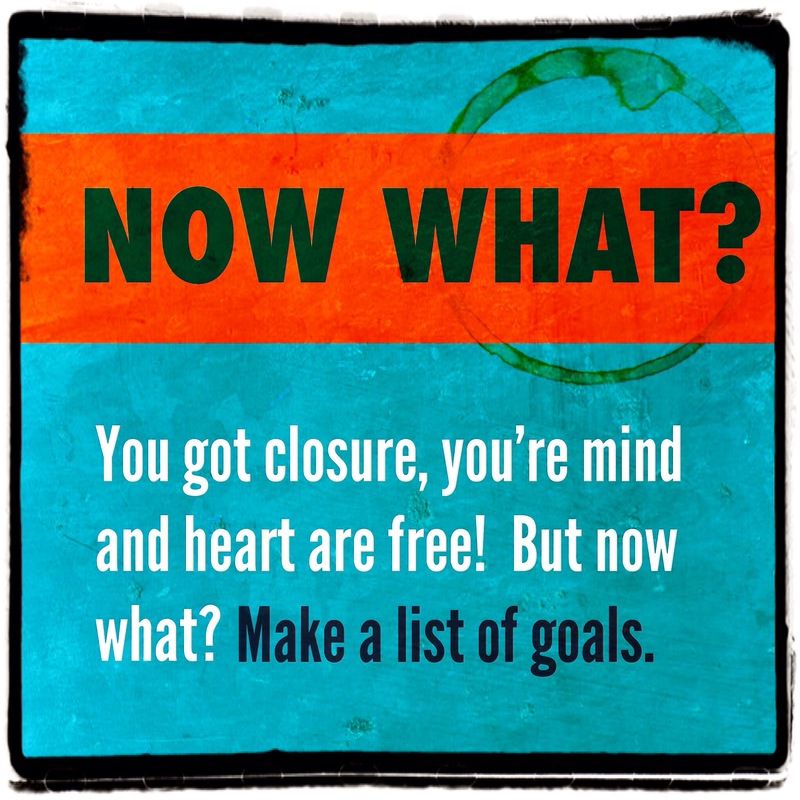 But if you haven’t made a list of goals, you could be inviting more trouble in the future. Think about the things you’ve been neglecting to do — both big and small — jot them down, and start hacking away at the list. If you’re able to focus on YOU, it’ll improve your life while helping you focus on what you DO want without allowing an “in” for what you DON’T. Previous Entry Finally — Closure!